This box is aptly named the Sentiment because it beautifully holds your clients memories in a cozy, loving way. This USB box for photographers offers a graceful and well designed exterior yielding to a soft and capable interior for holding a USB drive. Makes a great gift for a wedding. For a classic look with a modern packaging touch, the Sentiment is the answer. 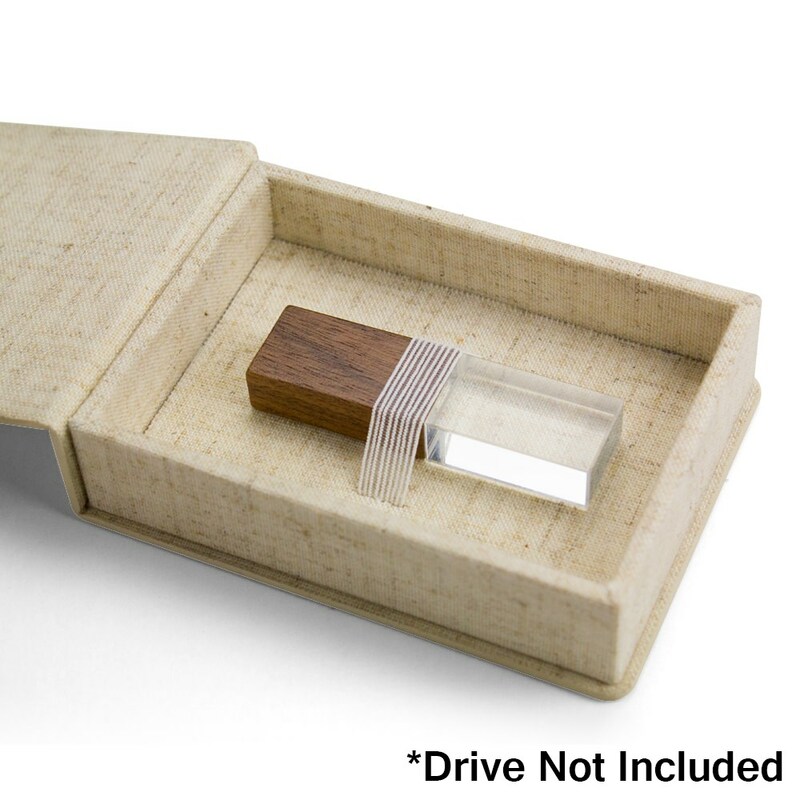 Composed of elegant and soft linen, the plush interior cushions an accompanying USB drive (not included) that is held securely in place with a elastic band. 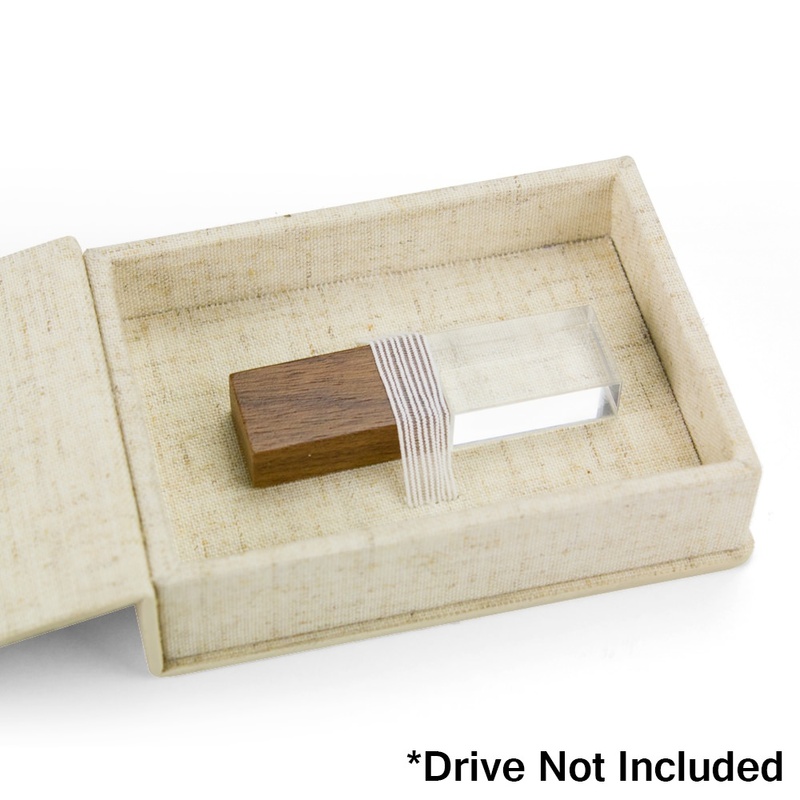 The lid firmly closes with a magnetic closure, ensuring your client’s data is safe and contained. 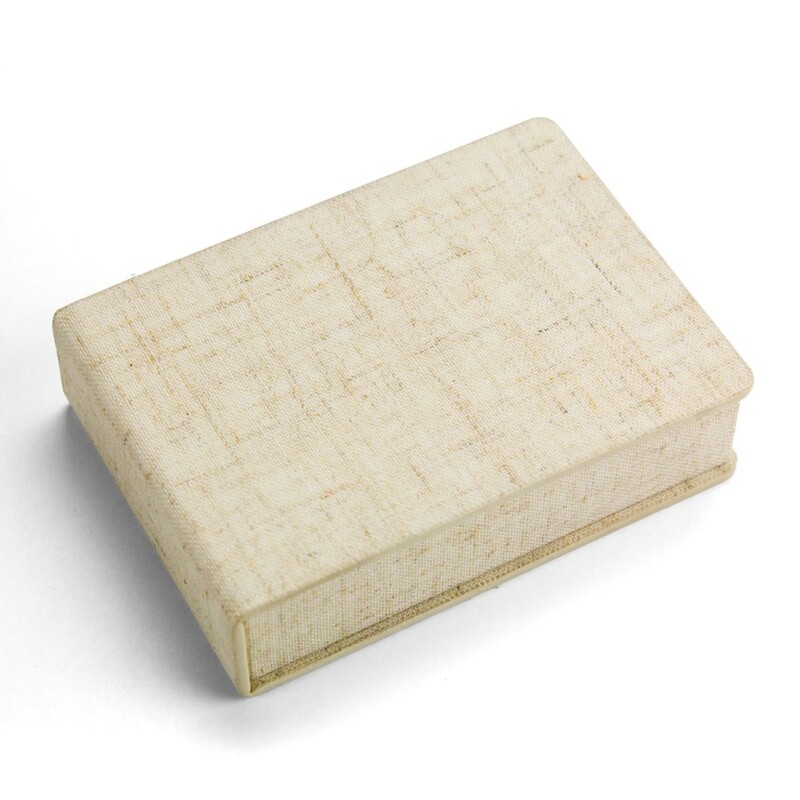 The Sentiment is appropriate for most motifs and themes that a client requires and is an affordable, elegant USB gift box solution.